Here is a list of 10 best approved school of Nursing in Nigeria that are the best if you aspire to become a professional and certified nurse in the country. 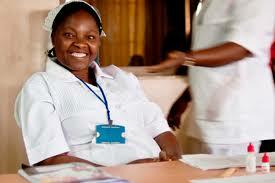 If you aspire to be a nurse, it is very vital that you study nursing as a course in an accredited Nigerian university. Nurses are vital in the medical profession as they offer assistance to doctors in attending to sick patients thereby saving lives in the process. There is no major hospital in Nigeria or in the world where you will not find nurses. 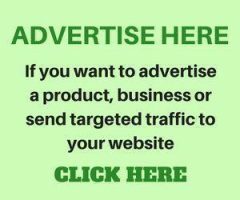 For you to get admitted or even admission into any top nursing school in Nigeria, you must have finished your education at secondary school level. You would also be expected in your NECO or WAEC to have at least 5 credit in the following subjects: Mathematics, Chemistry, Biology, English, Physics and Health Science as the case may be. Getting admission into a nursing school requires you to have finished your secondary school education and that you were able to pass at least 5 subjects at credit level in your WAEC or NECO at not more than 2 sittings. The subjects include English Language, Mathematics, Physics, Chemistry and Biology or Health Science. Unlike universities in Nigeria where you would have to spend five years to study Nursing as a degree, School of Nursing are post-secondary school institutions in Nigeria where you would go for training if you aspire to be a nurse. It takes a period of 3 years to complete your training after which you become a certified nurse in Nigeria when you graduate from the Nursing school. 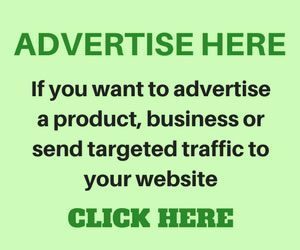 Below is a list of approved nursing schools in Nigeria that are considered as the best in the country and have been accredited, their location and website. Mater school of Nursing is also located in Ebonyi State and they have state of the art facilities to ensure that you get the best training as a certified nurse or health worker in the country. Their website is www.matersomn.org. You can reach them via their email at usinfo@matersomn.org. Their telephone number is 08063267858. This is another approved health institution which is located in Mbano in Imo state. The nursing school address is at the Joint Hospital Mbano, P.O.Box 123, Umuduru Isiala Mbano, Imo State Nigeria. You can visit their website at www.sonmbano.org and send them an e-mail at info@somnbano.org. Their phone number is 08039450698. This college is located in Kogi State and it is another top school of nursing that offers quality training. Their website is at http://www.esonegbe.net/eportal/index.php while their e-mail address is support@esonegbe.net. This is one of the best Nigerian nursing institute which is located at Ogbomoso, Osun State. The location of the school is at School of Nursing Bowen University Teaching Hospital (BUTH) P. O. BOX 15, Ogbomoso. You can visit their website at www.bowensonogbomoso.com or mail them at info@bowensonogbomoso.com. Their phone number is 07063749966 and 08035248406. They are located at Akure in Ondo State. Their address is at PMB 675 Igbatoro Road Akure, Ondo State. The website of this nursing school is www.sonak.org. 08060598781 and 08155082970 is their phone number. The address of FCT School of Nursing, Gwagwalada is in Abuja. Their website is at http://www.fctson.net. For inquiries about this school, you can contact them via their phone number at 08030756430. This college is located at Usmanu Danfodiyo University Teaching Hospital in Sokoto. Their website is at http://www.uduth.org.ng/nursing.php. This accredited school of nursing is located in the Birnin area of Kebbi State. You can reach them via telephone number: 07037730280 and 08036311379.